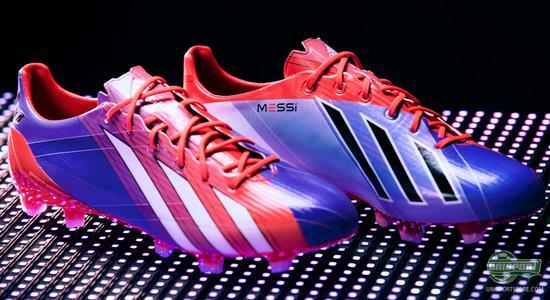 Lionel Messi's new Adidas F50 Adizero has landed and to celebrate the arrival of the colourful boot, Adidas have made a video, where Messi quite literally lights up the pitch, with his sublime football play. 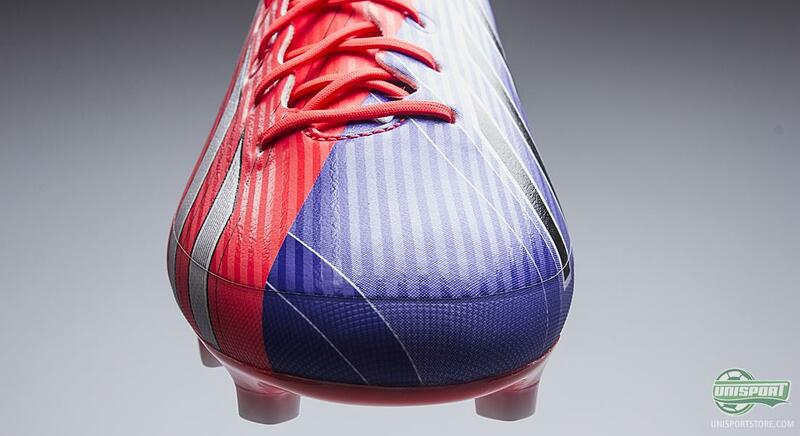 You can see the video here and read all about his new boots. If there is one player, who is known for his ability of enchanting the football world with his brilliant play, it has to be Lionel Messi. The lightning quick Argentinian is naturally a hit in Barcelona, a phenomenon even and there are not many, who have not seen Messi run with the ball, which is seemingly glued to his foot, while he dances through defenses. There is however much more to Messi than speed and close control dribbling. In celebration of the Adidas F50 Adizero landing on stock, Adidas have made a video, where you can see Messi, as you have never seen him before. He has become a luminous object that lights up the pitch with his sensational and enticing play. If you would like the new Adidas F50 Adizero, then you can order the boot right here  just 205. 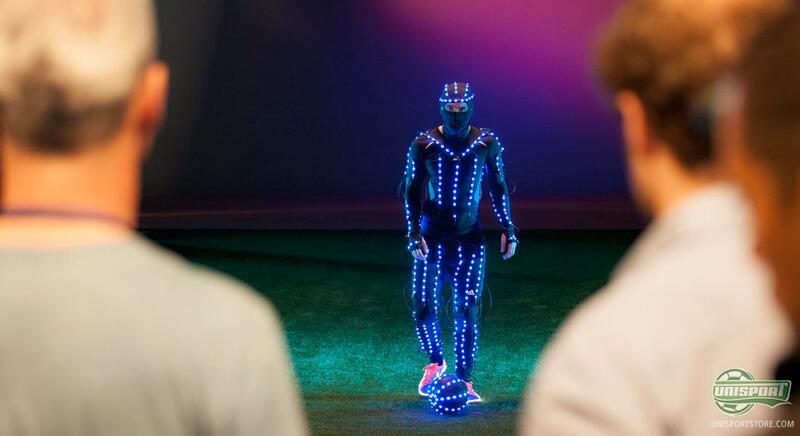 In the video Messi has been put in a suit built with light chains and he has even been given a ball that lights up the sky. Here he glides elegantly through the darkness, while the pink and purple colours light up the dark that surrounds him. 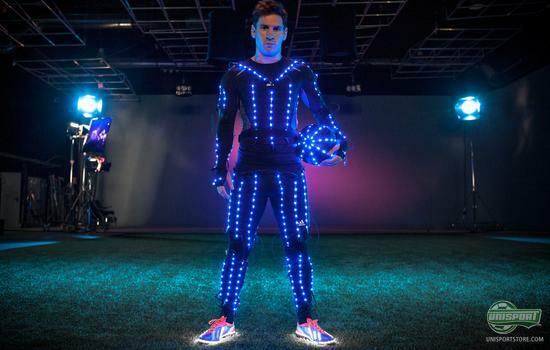 The video matches the slogan tied to Messi's new boot, which is The Speed of Light and it definitely describes Messi's play aptly. 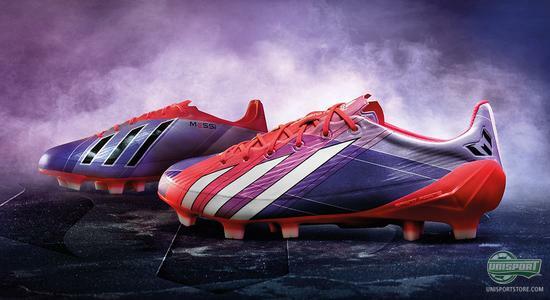 In the video it is the purple and pink colours that light up the darkness and they are also the colours found on the new Adidas F50 Adizero. 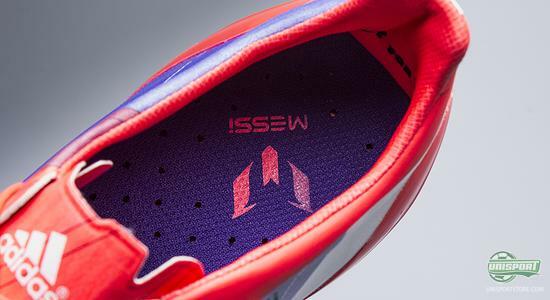 The boot was unveiled earlier this year and it has now landed on stock and is ready to be shipped out to all the adoring Messi fans. Now you can light up the pitch like Messi. In the coming season we will see Lionel Messi perform with the boot on his feet, as he attempts to do, what he has been doing his whole career  enchanting the world with his football play, as well as trying to secure an unprecedented 5th consecutive Ballon D'or. Therefore he will need a boot, which correctly accommodates his needs in his pursuit of further glory. If you want the new Adidas F50 Adizero Messi, then you can order the boot right here  just 205. The boot is made of the very thin DUALMAX, which is a 1.5 mm thin synthetic material and ensures comfort and a great touch that almost rivals that of leather. Lionel Messi himself prefers leather on his Adidas F50 Adizero and it therefore seems only fitting that Adidas have used the DUALMAX-material, which resembles it so much. The ultra-thin synthetic upper ensures that the boot keeps a weight, which makes it one of the worlds very lightest boots. With just 156 grams you have to conclude that the boot won't weigh you down and you can therefore freely move around at the speed of light, if you have the speed and energy to do so. The boot is based on the very well known SprintFrame from Adidas, which is made to give you maximal grip in the pitch, as well as letting you dig into the ground and power past your opponent. Exactly like Lionel Messi does, who at his best, can trick and bewilder an entire team. With Adidas' best material and many years of innovation and development behind, you get a boot, which is born to play football. At the same time you can look as light and elegant as Lionel Messi, with the fresh and very attention demanding colours. You don't automatically become as good as Messi wearing these, but you can match the world best players on footwear at least. If you would like to see more of Lionel Messi and the elegant, lightning fast and colourful boot, then you can explore our new campaign-site, which is dedicated to Messi. The campaign-site can be found right here and you can enter it directly by clicking the banner below. 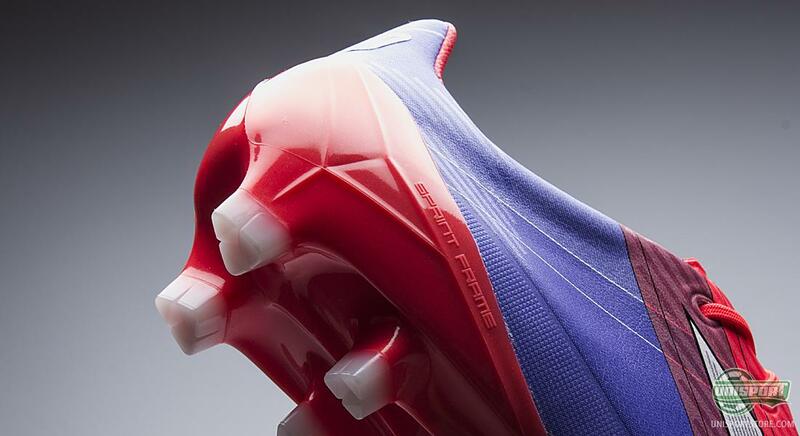 Adidas F50 Adizero Messi is a boot that is developed to give you the absolute most out of your game. At the same time it is made in a daring and modern colourway, which makes it truly unique. 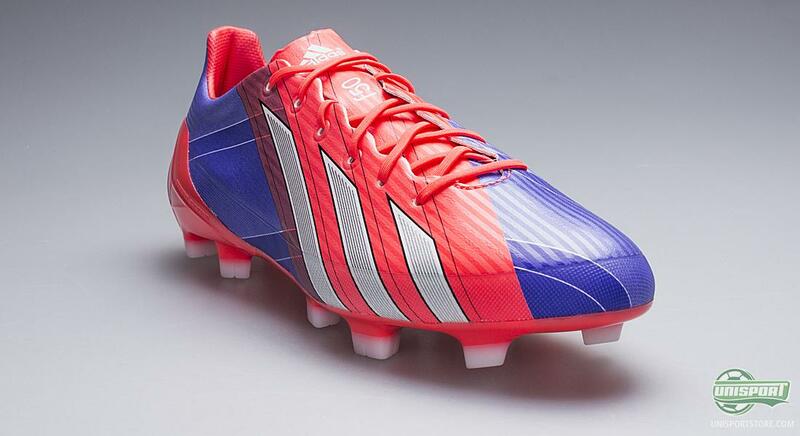 What do you think about Adidas' new Messi exclusive F50 Adizero? And are considering getting it? We would love to know here and on Twitter, as well as Facebook.